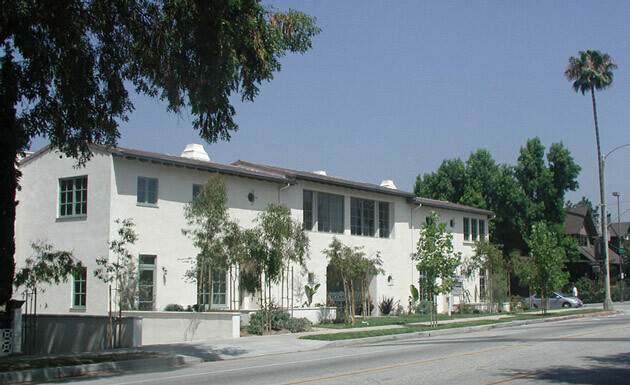 Meridian Court is situated on a small infill site in a mixed-use neighborhood within walking distance of two Gold Line transit stations and the major commercial centers of Pasadena. Located next door to Wallace Neff’s 1929 architectural offices (which now house Moule & Polyzoides's offices), Meridian Court recaptures the quiet appeal of the traditional court type. 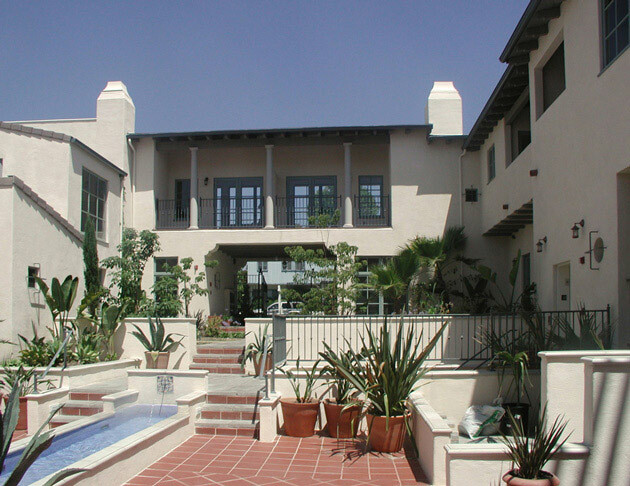 The ten townhouses wrap around a single large shared courtyard, maximizing natural light and cross ventilation. At 25 dwelling units per acre, the townhouses range from 1,300 to 1,800 square feet, offering a more affordable alternative to a single-family house for first-time homebuyers. 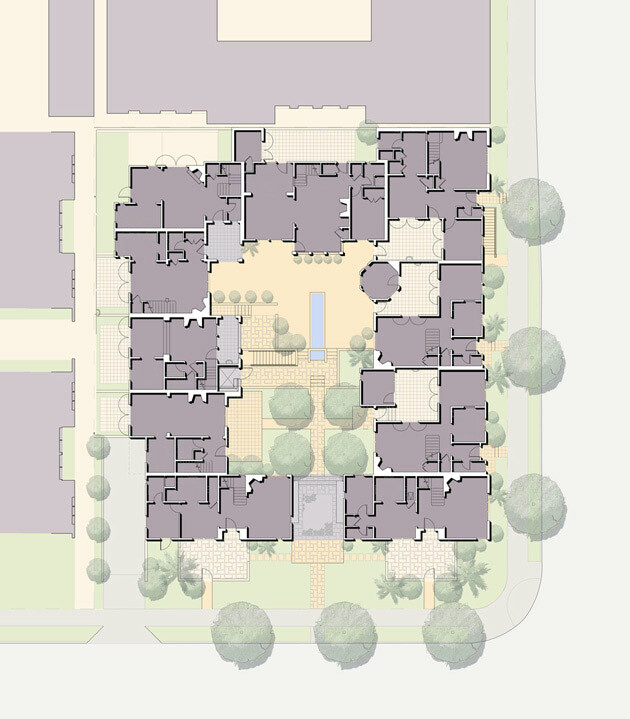 Each dwelling features individual patios, a rich drought-tolerant landscape and direct access to underground parking and the common courtyard, but each one is unique, with its own particular size, internal configuration and special living quality.